Of the new cars sold globally in 2020, what percentage will be electric? It's a simple question, but at the moment there doesn't appear to be a clear answer. Estimates of electric-car market share approximately three years from now vary widely, as do those for periods further beyond that. To illustrate that we turn to, of all things, a report produced by Australian industrial minerals firm Syrah Resources Limited. 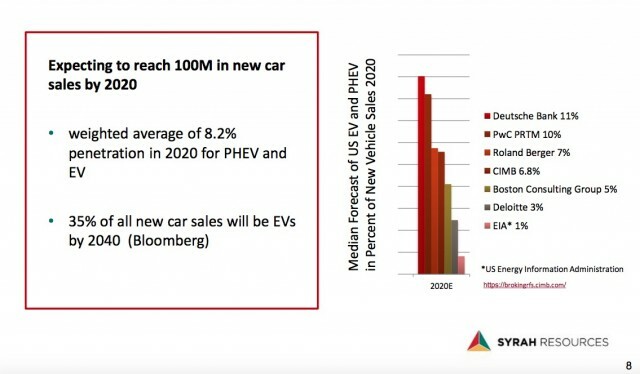 Syrah included estimates of electric-car market share in the report (pdf) because it plans to market minerals it mines to manufacturers of lithium-ion battery cells. A weighted average of multiple forecasts puts U.S. market share for electric cars and plug-in hybrids at 8.2 percent in 2020. But the individual estimates this average is based on vary from 1.0 percent, according to the U.S. Energy Information Administration, to 11.0 percent, as predicted by Deutsche Bank. Further into the future, the picture is also somewhat unclear. In a report released earlier this year, Bloomberg New Energy Finance predicted that electric cars and plug-in hybrids could come to represent 35 percent of new light-duty vehicle sales by 2040. 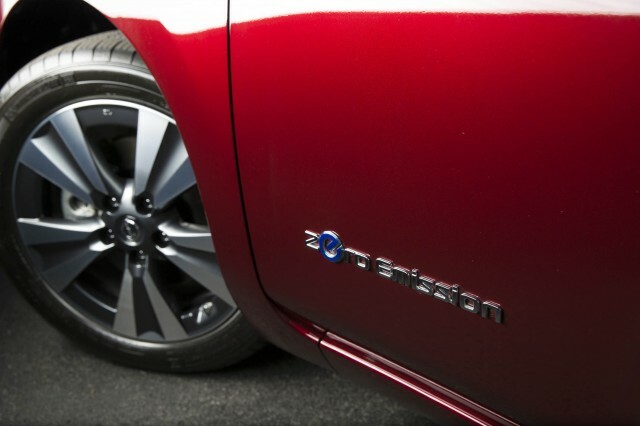 The same report predicted electric-car sales would hit 41 million units by that time. That's significantly lower than the 100 million units predicted by the Syrah report, but would still equal around 90 times the number sold in 2015. This growth would be driven primarily by steady decreases in the cost of lithium-ion battery cells, analysts said. 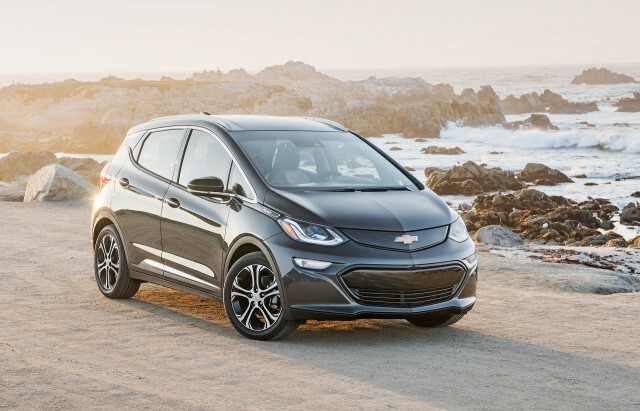 They also assumed that affordable 200-mile electric cars would become widely available, meaning the now-extraordinary Chevrolet Bolt EV and Tesla Model 3 would have to essentially become the norm. Yet Ralph Hannappel—manager of electrification at General Motors' German Opel division—said recently that electric cars will only account for 15 percent of new-car sales in Europe in 2030. Opel will soon launch the Ampera-e, which is virtually identical to the Bolt EV and will be built on the same assembly line as the U.S.-market Chevy. Hannappel's estimate is somewhat less optimistic than others, but the oil industry's view of electric cars seems to be downright negative. Last year, OPEC predicted that just 6 percent of cars on the world's roads in 2040 would be powered by anything other than gasoline or diesel. ExxonMobil made a similar prediction, saying electric cars could account for less than 10 percent of global new-car sales in the same year. 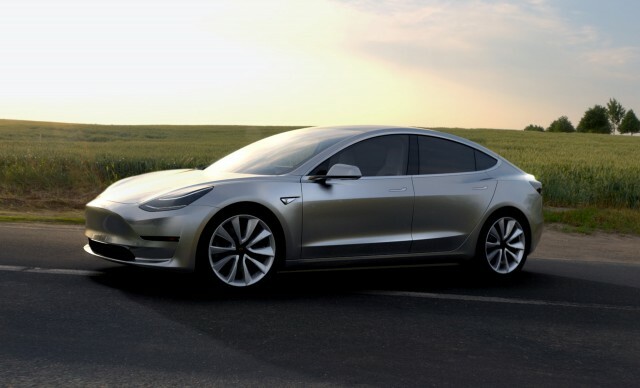 It seems, then, that when it comes to the future of electric cars, opinions differ considerably. Only time will tell which of the many available estimates proves closest to reality.